Just purchased myself the £25 monthly contract plan with Three which apart from 2000 minutes in calls and 5000 text messages, it allows me to perform tethering on my android device. 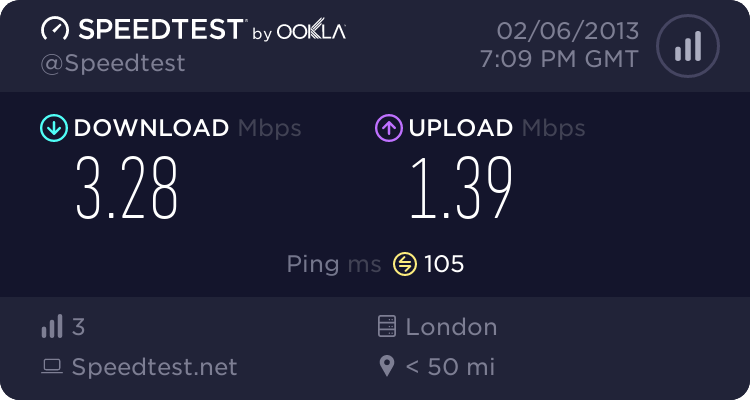 To be fair with you guys I was in a quick need of an Internet connection so this sounded like great value for money... 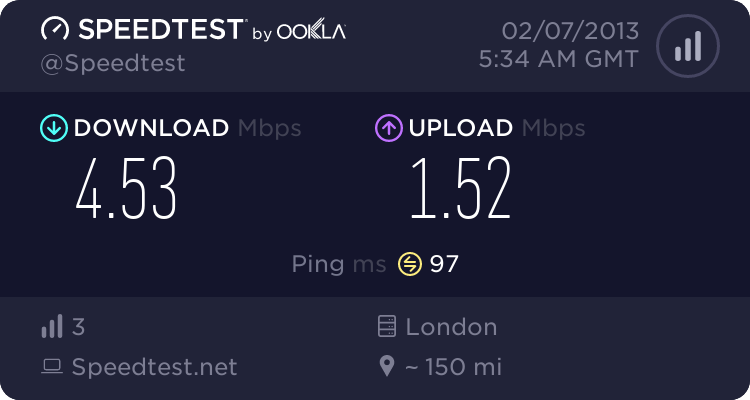 I was told that BT sells broadband internet for roughly the same price (but of course no calls/texts/etc) and would be bound by an 18 month contract - a royal ripoff if you may ask. Would love to ask any geek who may be reading this whether he has any experience with trying to tether on non-allowed (ONE) plans? And I am really asking for the sake of an educational research and not to be a digital cowboy. I have also noticed that tethering speeds really depend on the location of the mobile device - in my case, placing the Android near the window managed to triple the connection speed as can be seen in the screenshot above. I am quite happy with the results especially since this is an all you can eat data plan! Additionally I am trying to look for an app for my Android ICS (4.0) which hides the SSID when I configure the mobile as a personal hotspot... Let me know if you are aware of one! 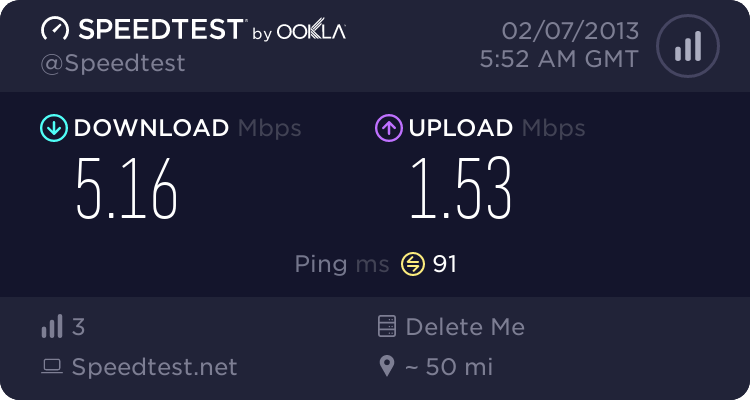 I've got a Three tether and it's painfully slow. Got an Orange one at the same time and it's fine. Both phones and laptops show strong signals too! Frustrating indeed!